Posted November 30, 2006 by chris & filed under Business, Essays, Web development, Web world. The internet is often described as an information superhighway. And on any highway there are vehicles, lots of different types of vehicles. I started to think about this over the last few days and realised that the two (server-side development) technologies I spend most of my time using these days represent two wildly different ‘vehicles’. And because I’m not averse to writing ill-thought out ramblings about the web, here are my thoughts. Yes, the Sports Utility Vehicle. Big, shiny, covered in chrome and brushed titanium. An interior made of plush leather with rare wood facias, and lots of slick gadgets. They say it will take you off-road anywhere, but let’s face it: these things are only owned by rich people living in posh suburbia. The dreaded Chelsea tractor factor, as some people have said. They guzzle fuel, pollute the landscape, and if something goes wrong it goes really wrong and needs an expensive trip to the specialist garage to mend. No hacking away with a spanner and roll of gaffa tape on these, no way. But they have their good points. They are incredibly sophisticated, so don’t worry about reversing into a lamp-post because before you hit it a polite computerised voice will say “You’re just about to hit a lamp-post. Are you sure you want to do that?” and then offer you a latte. They are comfortable; really really comfortable. You get so used to being inside one that when you have to drive in a Lesser Automobile you feel dirty. In fact they are so clean and nice to be in that you forget there’s an engine with messy things like oil and fuel squirting around in little tubes. Unscrew a little cap to check the oil? Not me, I just say “E-mail me a current oil level reading, car” and it does it. And, let’s face it, everybody is jealous. They see me driving one of these and they know I’ve Made It. I must be some celebrity, or a director of a large company, because those sorts of people are the sorts of people to have these kinds of cars. I see them stare at the car from behind my tinted windows, as I press a touch-sensitive button to turn the air-con down just a fraction. And when I get home, I just twitch my left nostril a bit and the wrought-iron gates leading to my 400-yard drive swing open, and my digital TV automatically turns itself on to Footballers Wives. Bliss. Its open source roots, huge collective of developers, and ‘hackable’ nature have meant it is often the first server-side technology beginners have been able to get into without a steep learning curve. 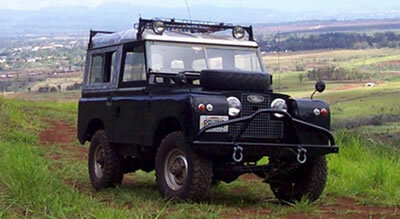 The classic British Land Rover. Originally built to be as simple to fix as possible, it has been a stalwart of not just the British Army, but many armies around the world, for over 50 years. 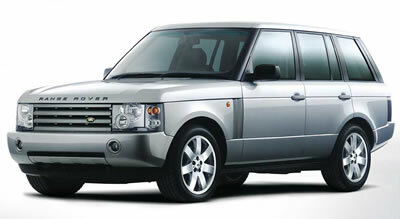 It’s basic, uncomplicated, rugged and tough – exactly what you need for driving across difficult terrain. It’s so modular that what you can’t fix or find spares for you could probably make yourself. In fact I have a friend who makes spares for his Land Rovers in his garage using nothing but some simple tools. So there you are, parts of your engine strewn across the desert floor after a particularly amorous rhino mistook you for a mate. It could have been worse – you have a set of spanners, a roll of gaffa tape and a flask of tea. Two hours later you’re back on your merry way, stroking your goatee in satisfaction and thinking of your collection of model steal engines waiting for you back in good old Blighty. What-ho. Landys are classics, up there with Spitfires and red telephone boxes, pints of bitter and fish ‘n’ chips. They are reliable, and even when it does break you don’t need Jim to Fix It for you). But they aren’t comfortable or plush or stylish. They aren’t the sort of thing you turn up in to take a young lady to a restaurant. But they are just the thing to pull a posh SUV out of a muddy field with. People also stare when you drive a Landy. Most people wonder why you don’t buy a ‘decent’ car, but those in the know understand. It’s not about the bells and whistles, the leather and chrome. It’s about an intimacy with the vehicle – knowing the nooks and crannies, knowing not just what everything does, but how and why. Landy’s hardly impress anyone, and turning up to a high-powered sales meeting in one will make people think you’re losing the plot. But put one up a mountain or in a desert and you’ll see why the heard of a free beast must run wild.